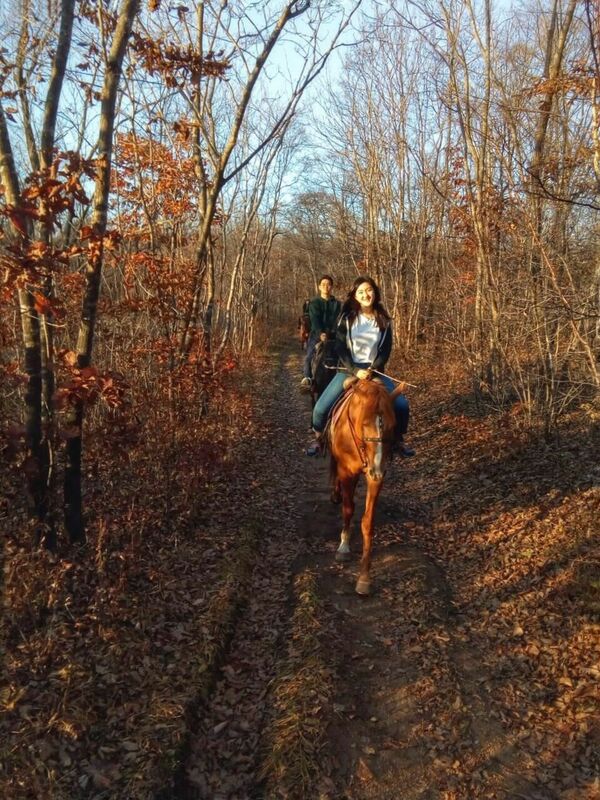 International students of Vladivostok State University of Economics and Service experienced in horseback riding in horse club “Hutor Volnyi”. The trip was organized by students of VSUES Olga Ipatova and Violetta Khoruzhina who are also volunteers of VSUES International Club, both majoring in Region studies. On the way by train the students could admire the beautiful landscapes of the famous hills of Primorye region. Volunteers chose good time for the trip, because the nature met students with wonderful views of mellow autumn. Upon arrival the students discovered the camp with graceful horses. The program of the event included the work of experienced and attentive instructors. They told about the main aspects of horse’s behavior. The route was laid through a unique protected area among the wood. After horseback riding, students took part in picnic with traditional kebab and soulful guitar music. Despite the weariness of the students, everyone was happy to visit this small corner of wild nature.